As regular readers of Gidday from the UK will know, I had a birthday. Not a ‘big’ birthday by society’s reckoning but I like to endow each of my special days with a significance and joyful anticipation befitting someone who has not yet reached double figures. 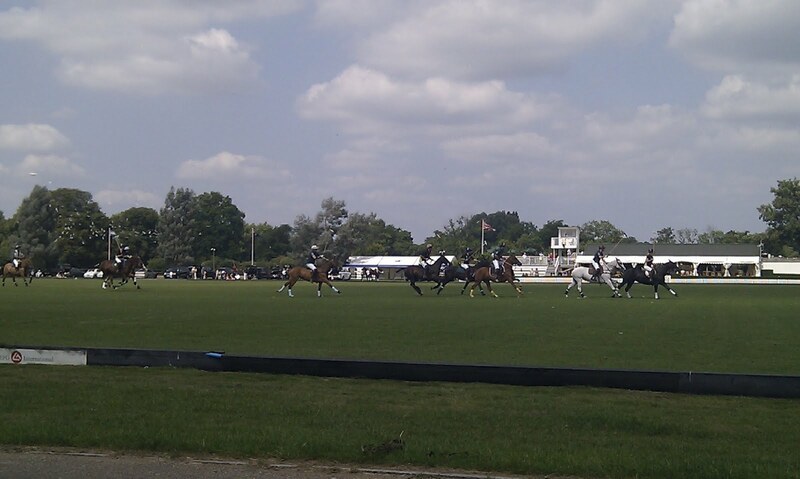 And faced with how to mark my special day this year, we decided to do the only thing one should do in south west London on a sunny Sunday afternoon – a picnic at the Polo. 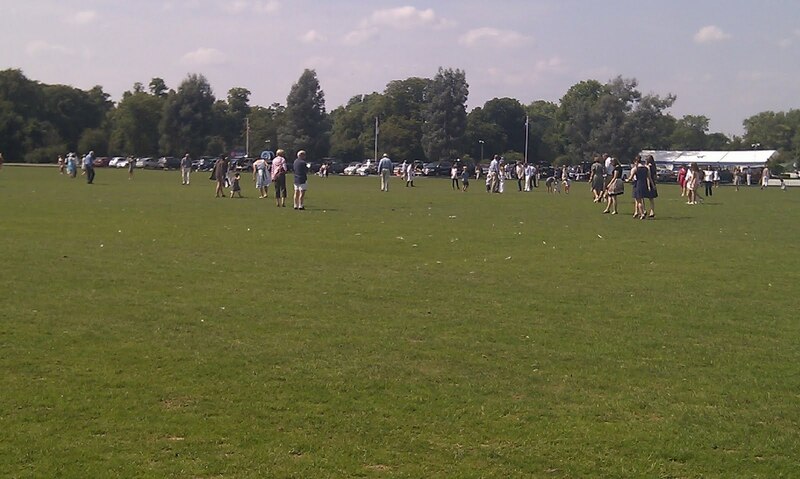 Ham Polo Club is located just a 15min bus ride from my place and every Sunday from May to September, you can pop along for a fiver and picnic alongside the rich and…well the rich. And every Summer for the SIX Summers I’ve lived nearby, me and A-down-the-hill have said ‘Oh we should go!’ and then before we know it, October arrives and we’ve missed the season. Well not this year! 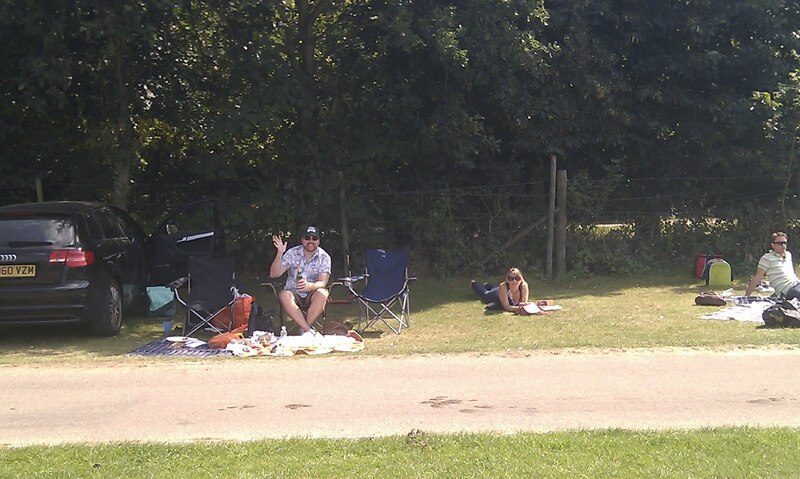 So on the last day of my year, the SS 41 chugging slowly and gracefully into its mooring, two Aussies, a Scot and four Turks packed their picnic vittels and headed to TW10 to grab a dainty bite of quintessential English-ness. 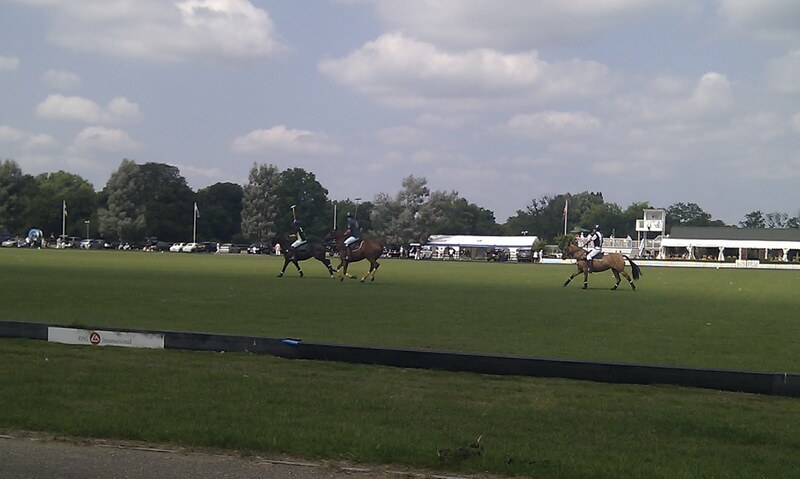 The sun beamed down upon us, the wine flowed freely and the players and their ponies polo-ed. There was a smidgen of educating (we learnt about chukkas, treading in and the like), a modicum of movement (chair to field to chair to field to…oh you get the picture) and a whole lotta laugh-out-loud-ness as commentator after commentator filled the slow bits gaps in the action with that droll, dry humour that the Brits do best. The game started with something a bit like a passing out. 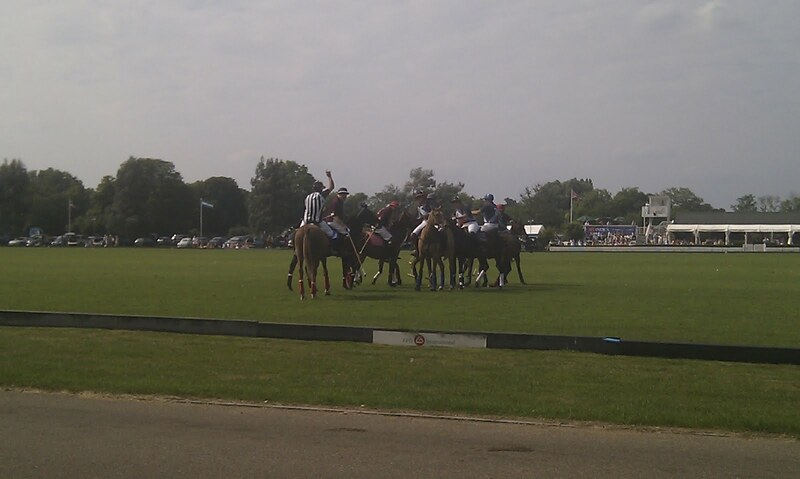 The eight players and their ponies line up in front of the clubhouse (where all the posh people sit) and as the players are introduced, they ride in a little circle around their team mates before stopping back in their original place. Bless! 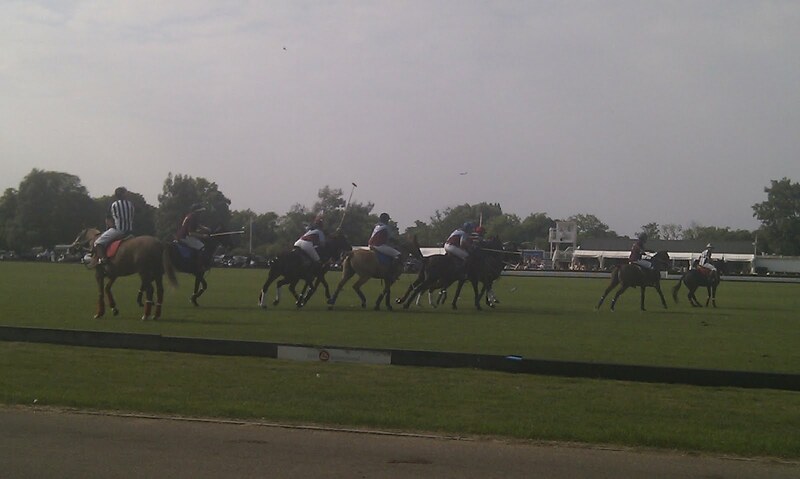 Then the action started – these eight grown ups ride around on their horses with big sticks trying to hit a tiny ball up and down a big field and through a couple of posts at either end. No, I don’t play golf either. …which is unbelievably confusing for all concerned. 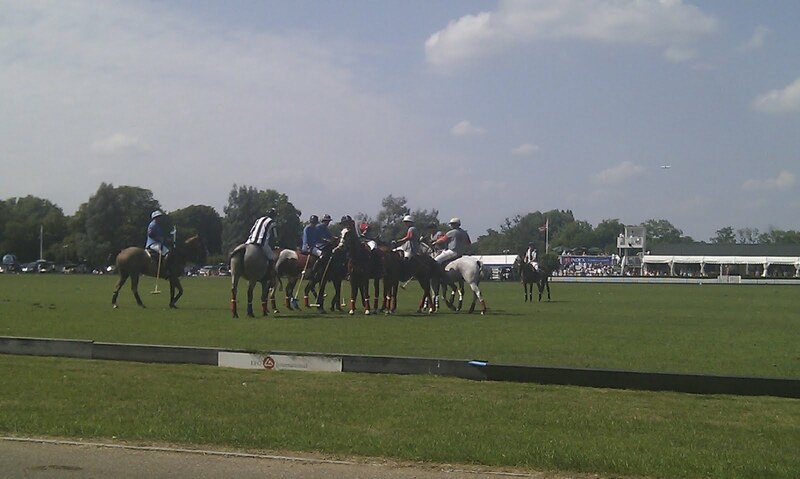 Every so often play stops and they all gather around for a throw in, which look a little like a Rugby Scrum on horseback. 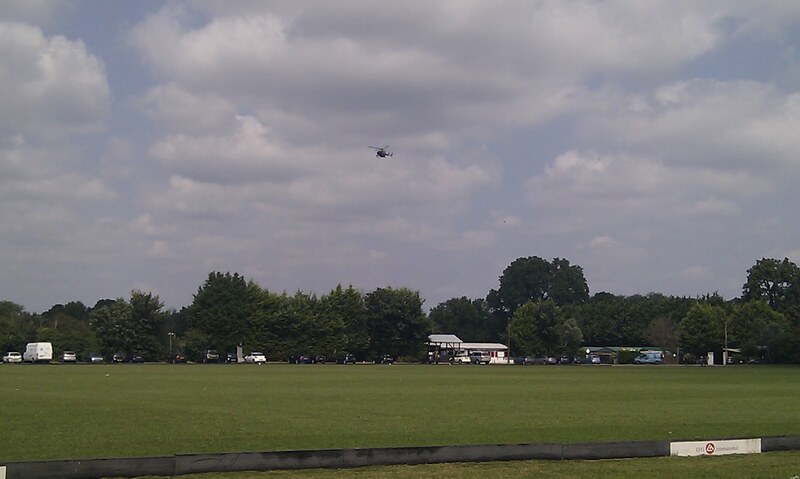 And lest we forget, polo is the sport of the everyman – NOT! 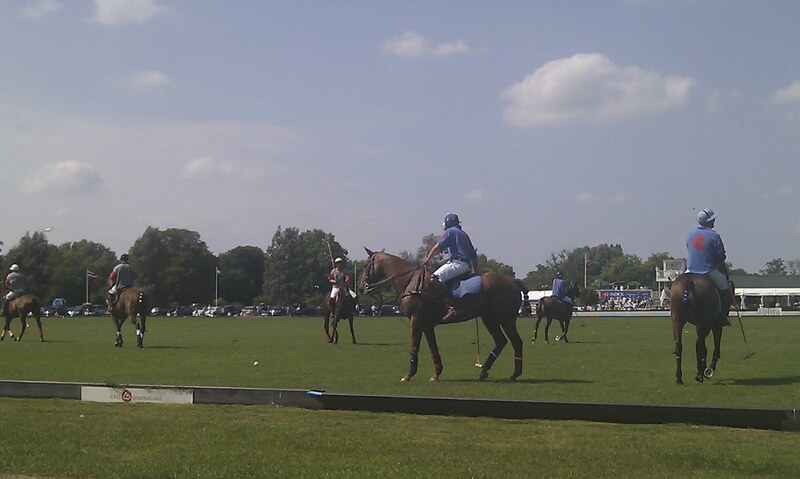 Ponies are usually changed after each chukka making it at least four per game. Whatever happened to sweating those assets? …while our Scot ‘minded the store’. Four and half hours later, sun-kissed and inebriated it was time to go and in the back seat on the way home, I believe I gurgled happily about what a lovely day I’d had! So that was my fond farewell to forty-one and another one of the ‘things I must do while I live in Kingston’ ticked off the list. But to be completely honest, now I’ve been, being local is no longer a mandatory for future attendance. ps…I’ve also been submitting some articles and reviews on a site called Weekend Notes – why don’t you wander on over and check out what I wrote about this little adventure and some of the other things I’ve done in London. 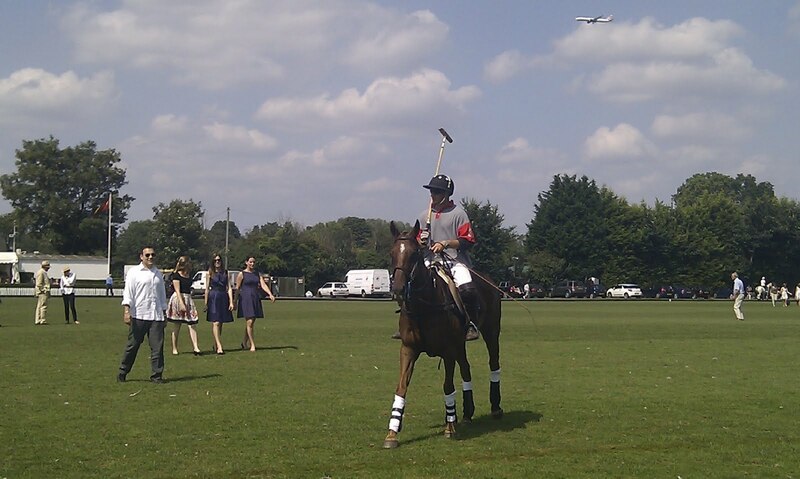 This entry was posted in Life in the UK and tagged Birthday, Bucket Lists, Life in the UK, picnic, polo, Sundays, weekendnotes by Kym Hamer. Bookmark the permalink. I know Linda – and some of the players popped up in other matches so I shudder to think that they might not be 'recycling their ponies' and bringing out a fresh batch for the other matches! Enjoyed both your post and your article – fun reading all around! My pleasure @ianandebe. Hope you manage to get along there before the season ends at the end of September. 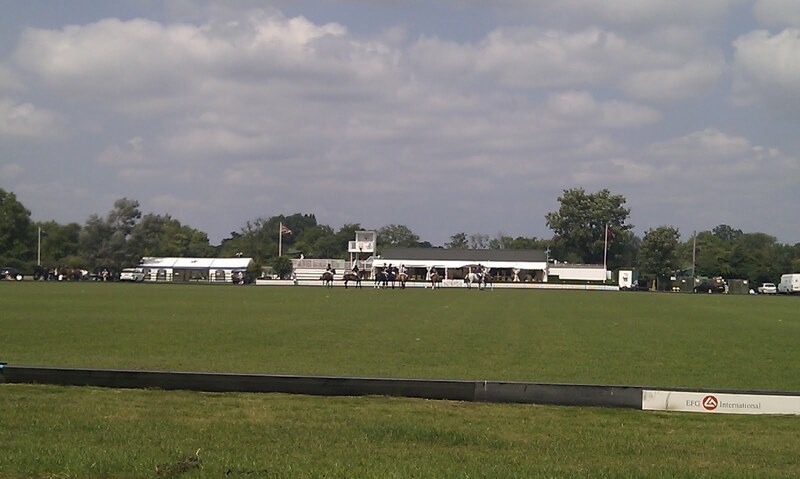 As a former horse-mad girl, with a horse still waiting for me back in Seattle, I would LOVE to see a real live polo match. Thanks for the pics & description! You should definitely go Matthew – I cannot believe I waited so long.